I love to take photos, particularly plant and nature photos. I’m not a trained photographer in the true sense. But over time, I have cultivated a sense to how images, especially those taken at certain angles, really speak to me. I see so much beauty in the world…beauty that is awe inspiring. And because I have a photographic library that has crashed hard drives with countless untitled images, I thought I would start sharing some of my favorite images of cool plants, beautiful nature scenes, or other awesome things so that I can start filing some of my favorite memories in a photographic journal. Here goes…a visit to a greenhouse. 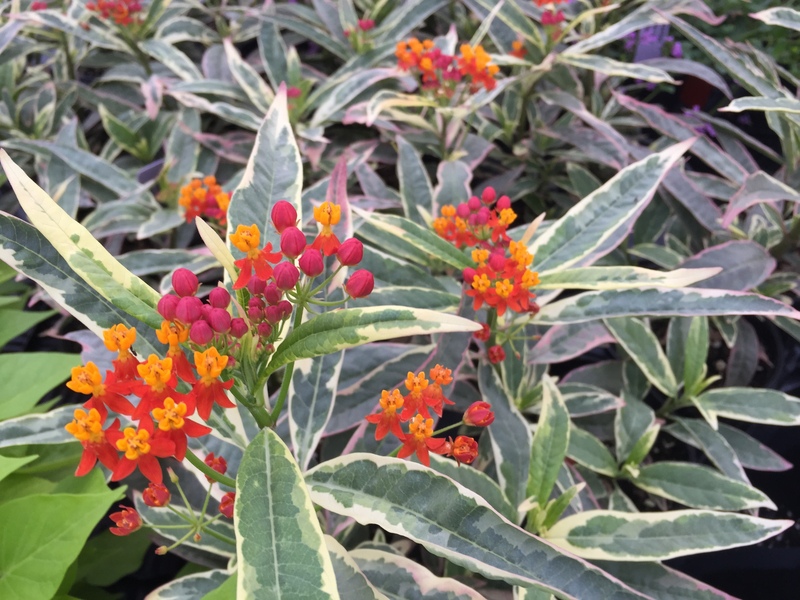 Monarch Promise Variegated Milkweed (Asclepias curassavica ‘Monarch Promise’). (Hort Couture) Say what?!? 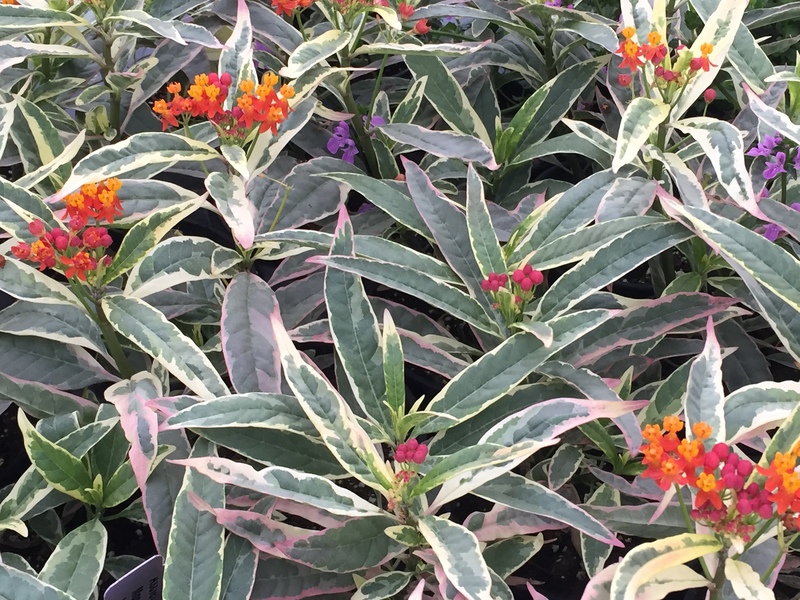 Love this variegated milkweed that is sure to attract the monarch butterflies. I mean, it says it in the name. 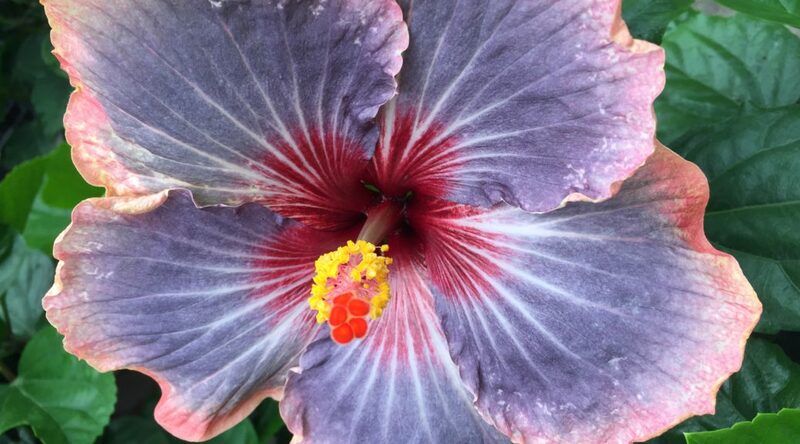 Tropical Hibiscus (Hibiscus rosa-sinensis ‘Blues in the Night’). 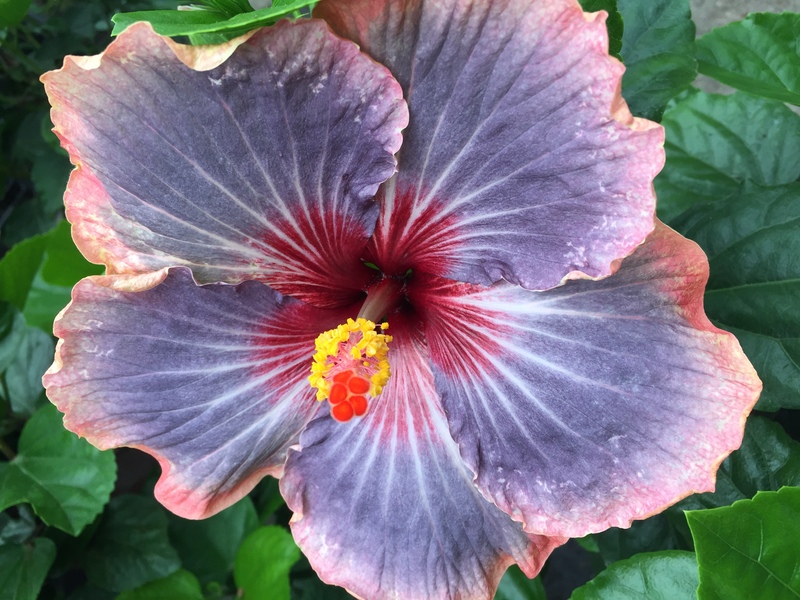 (Hidden Valley Hibiscus) Hello, lovely. A ‘blue’ hibsicus – need I say more? 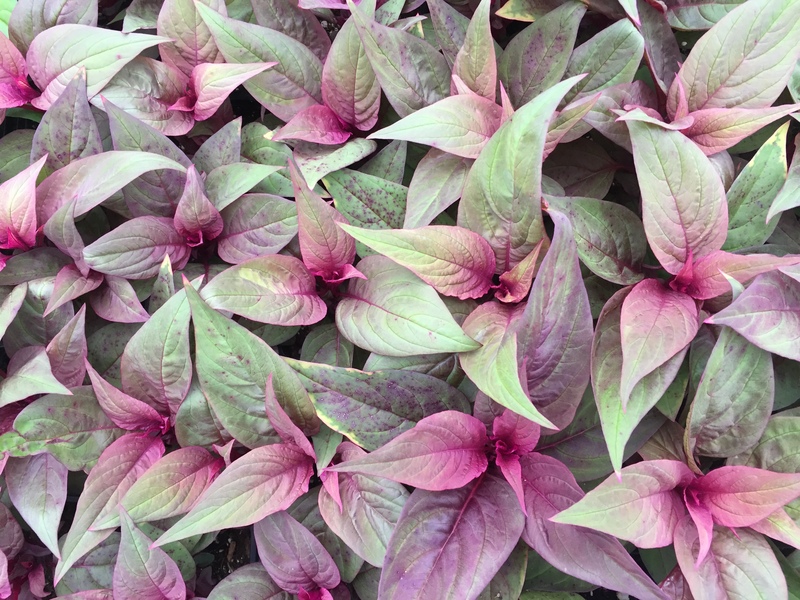 Celosia ‘Dragon’s Breath’. (Sakata Seed) This guy develops beautiful red plumes and red/green foliage. Angelonia ‘Archangel Orchid Pink.’ (Ball FloraPlant) Love me some angelonia. 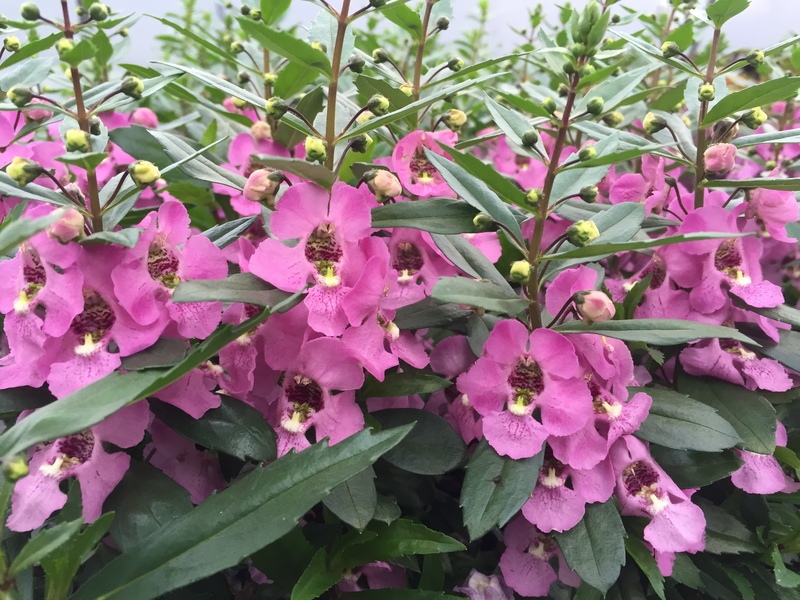 This big, bodacious angelonia has beautiful light pink flowers. 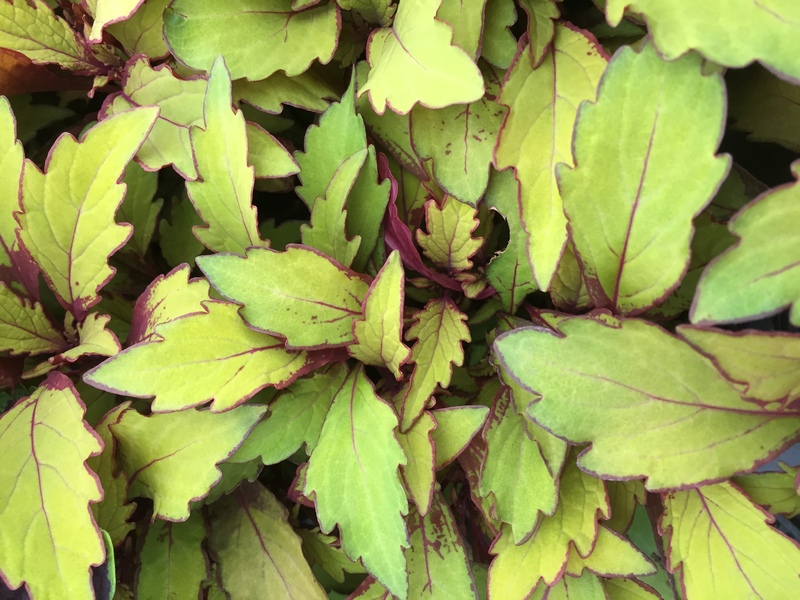 Coleus ‘FlameThrower Spiced Curry’ (Solenostemon). (Ball FloraPlant) A pretty coleus for sun to shade – and this isn’t even its full coloring. So many coleus, so little time. Katherine Sabatino on Celebrating National Horticultural Therapy Week! The information presented on this website is published in good faith and intended for general information purpose only. We do not make any warranties about the completeness, reliability, and accuracy of this information. Any action you take upon the information on our website is strictly at your own risk. and we will not be liable for any losses and damages in connection with the use of our website. © eat|breathe|garden and The Horticultural Link, LLC. 2014-2015. All rights reserved to original content and photography.